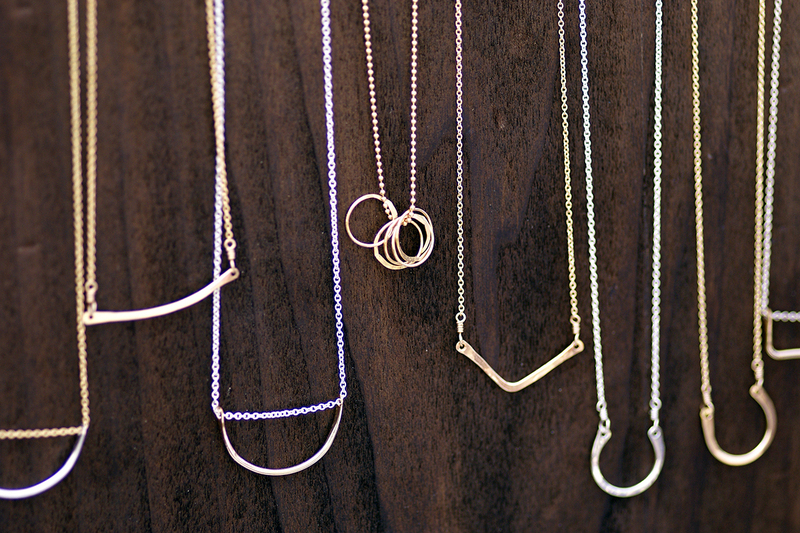 Simple Silver & Gold Jewelry Designed with Elegance in Mind. Brighten Your Look & Your Outlook with Timeless Accessories. Additional Talents: Design, Printmaking, Painting, etc. Every artist makes their foray into their chosen specialty from a unique angle. For Britta Ambauen, a fine arts degree gave her a strong foundation in design and aesthetics, but it wasn't until she got the chance to apprentice with a boutique that she found her true calling. 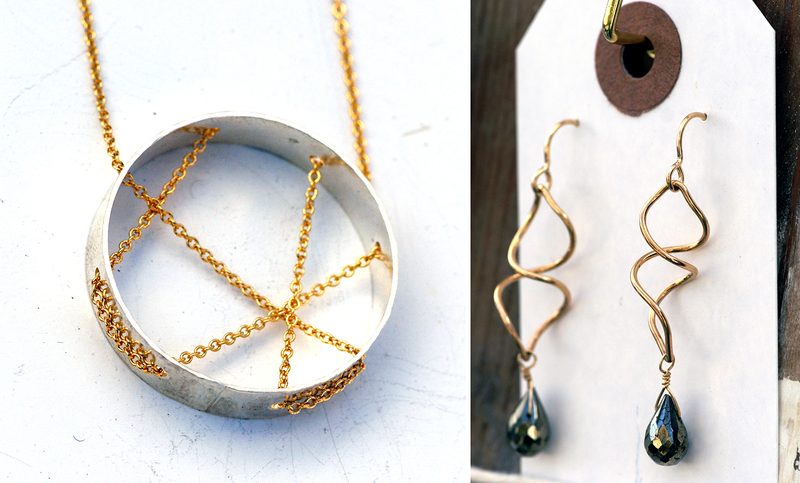 As she learned to cut, solder, shape and finish jewelry, she became smitten with the techniques, materials and community surrounding this craft. I can completely understand; I too am inspired and encouraged everyday by the amazing qualities of makers, many of whom are such strong, admirable women (like Britta)! Throughout her early career, Britta balanced different ways to support herself while also polishing her jewelry skills and acquiring the tools she would need to go into business for herself. 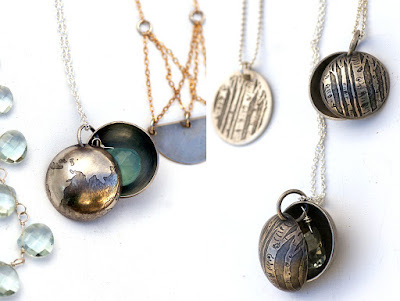 Now she is a full time jewelry maker, designing her own collections from many favored techniques for turning metal and gemstones into wearable art! Her pieces involve anything from wire wrapping and bezel setting to intricate cutting and etching. All of this and more at a tiny scale, with canvases often no bigger than a square inch or two. The main vibe of Britta's work is modern elegance. She offers earrings, bracelets and necklaces for women seeking beautiful, often understated accessories. 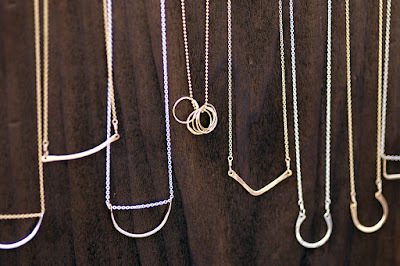 That’s not to say that her pieces are plain, but rather balanced in their simplicity and detail. Britta also achieves a lovely femininity that is meant to help the wearer feel as graceful and one-of-a-kind as their chosen piece. 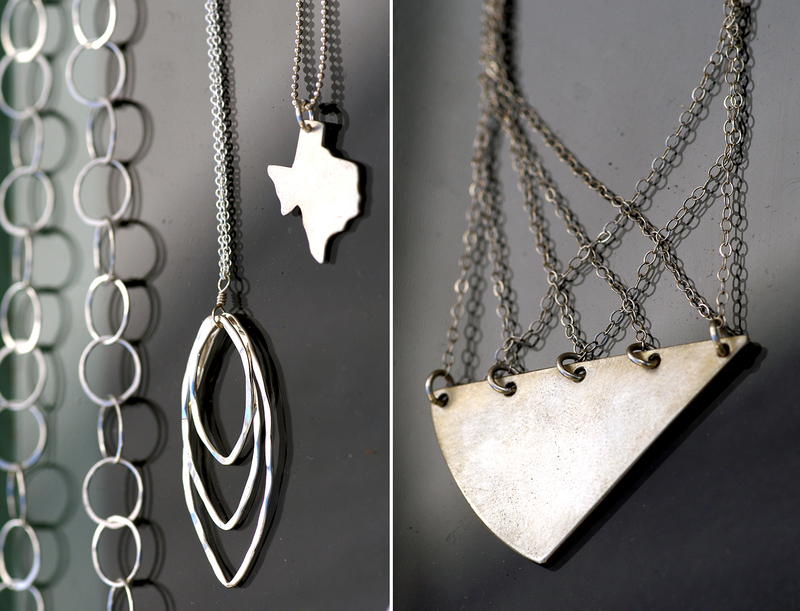 While based in Austin, you can find Britta at many art events throughout the country, sharing her latest designs. My personal favorites are her lockets. She created a new take on this classic piece by stringing together two hollow half spheres, but without the usual hinge and clasp. Then she includes a gemstone inside and possibly also an etching. These elements hang together loosely, occasionally hinting at what's inside. In my opinion, she's rendered a modern interpretation of something vintage, making it timeless. What an inspiration! It's not hard to see with these pieces and many others, Britta is successfully offering her buyers the chance to pick accessories that speak to them and complete a look with confidence. Britta is the real deal from her beautiful vision to execution! I'm glad she found the art form she was born to make!